Crystal Football Awards - fine quality optic crystal football trophies, ideal engraved as football awards or gifts, and offered with Low-cost text and logo engraving. These optical crystal football trophies make outstanding soccer prizes or awards both for teams or individual players. Set on a clear crystal base with a shallow recess at the top, the finely detailed crystal football sits loosely and can be spun Low-costly on the base. 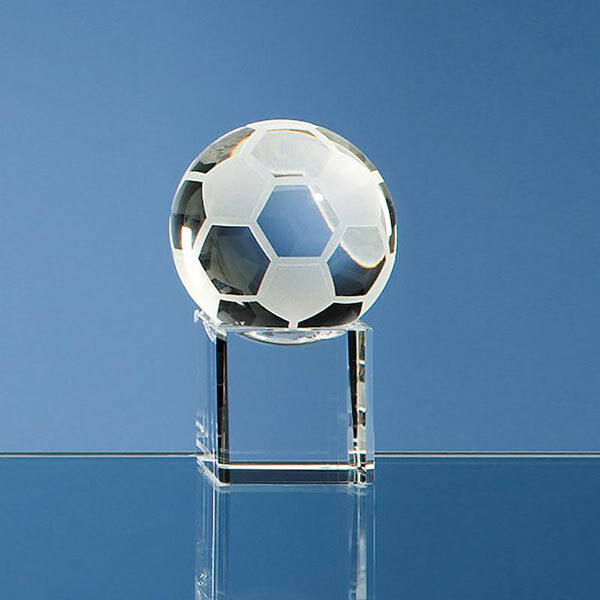 These football awards are available in four sizes, ideal for a range of budgets and perfect for creating first, second and third placed awards. The rectangular bases can be engraved with winner or event details, as well as sponsor logos, association logos, or club logos. They are offered with low-cost engraving of both text and logos.